You seem a pretty cool character, a relaxed and calm guy, but I'm interested to know whether you occasionally well and truly lose your temper ?. 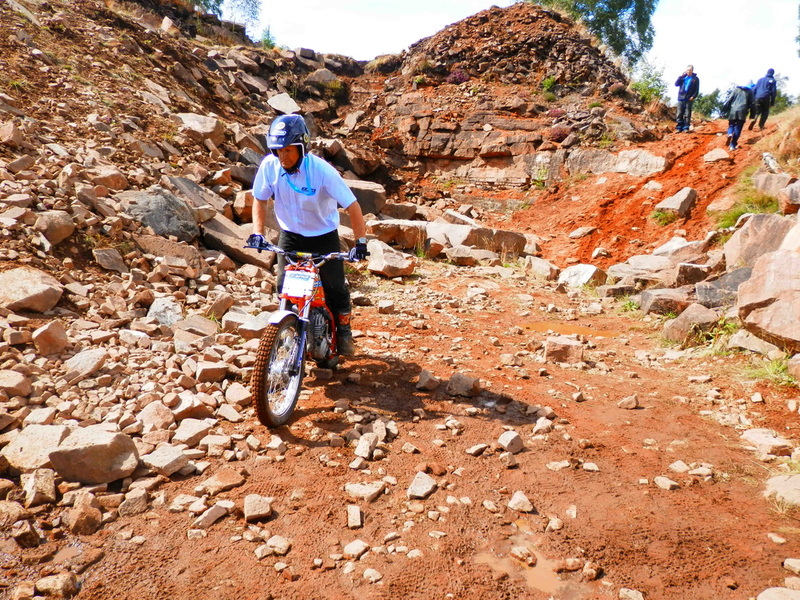 Actually, there's a few times that it has happened to me in the context of my son's trials riding. I have to say that in hindsight, I'm ashamed of that, I can't really understand how it's possible that I could lose it that badly. I'm not trying to defend myself but I've seen over completely rational people lose it as well in the same context. There is something about the school boy motocross or schoolboy trials whatever it is, there is something pretty infuriating. In my case for instance, I could see that my son could do it if he listens to me but he won't because I am his father and he won't listen to me and that is really worrying, that you actually get so emotionally involved that you start shouting at your son and it's supposed to be fun. I still today can't explain, at the time it was quite worrying and at one point I decided to that I needed to get out of it because it's not working out. 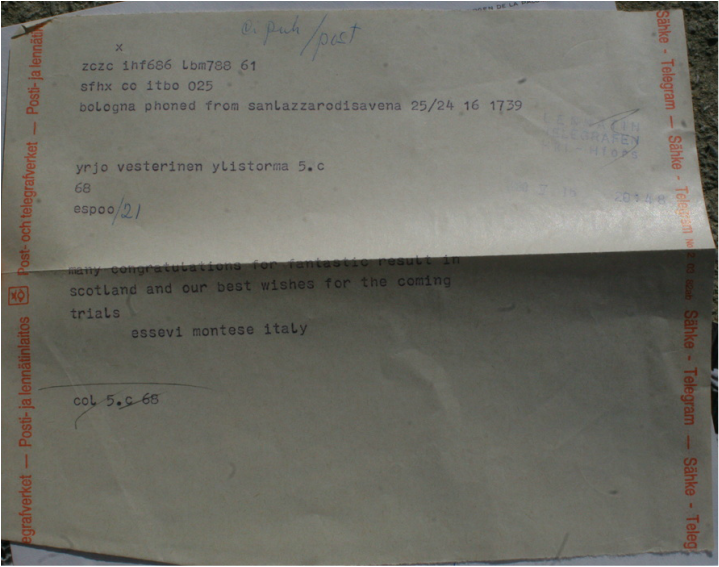 A congratulatory letter from Montesa's Pedro Permanyer no less. Who has helped you most in trials? All in all, it is my older brother Yusuf. He travelled a lot with me and he was very calm. He would not get involved in anything controversial or would never try and teach me anything. 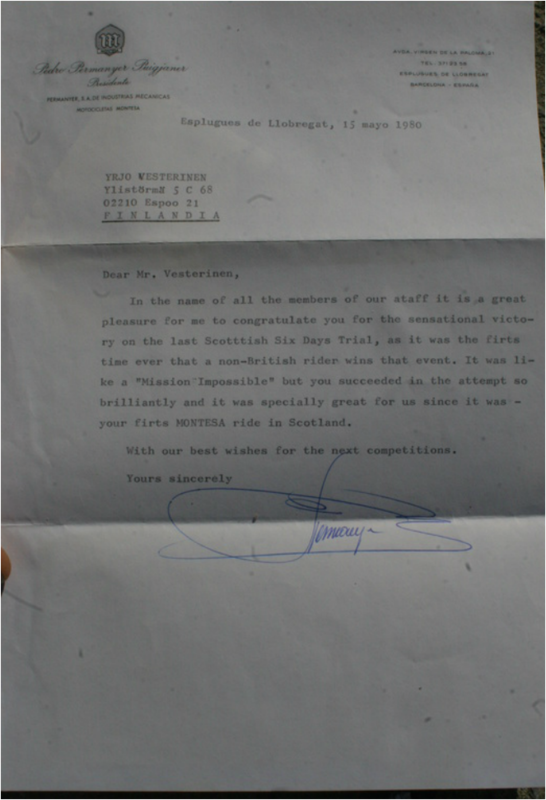 I do remember trying to ask him, it was the Finish world round but I don't remember which year, he came to watch me. I went over to talk to him about the section and I remember discussing the right approach and how are we doing so far, I remember him clearly explaining to me that if something was going well it would feel easy and when something looks as though it's going to be a struggle then it's not right and something in your riding is not right. Another congratulations from the Montesa Importer of Finland. Behind my parent’s house when I was a kid. You can't ride there anymore as it was sold a long time ago. I bought a place for my mother in the late 70s and it was sold in 1983. I bought my parents house, you see I was living in a flat but I also bought the house and my mum went to live in a flat. Why didn’t you ever choose Spain as the place to go and live in?. 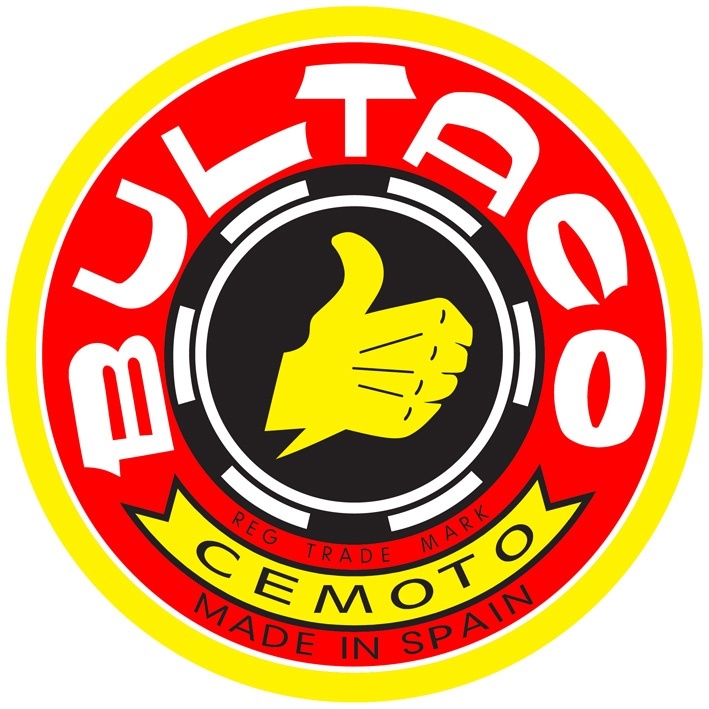 Bultaco were based there and it's warm as well, they enjoyed siestas, quality red wine, paella, Mediterranean waters, cheap property prices, motorcycles everywhere, easy going characters trustworthy people, shall I go on? Do you speak Spanish? Not well enough but I expect I would have learnt it quick enough. I did not seriously consider moving to Spain but I did live in Andorra for 2 years which is close enough. I went there because you are only taxed on £5,000 a year. Do you have dual citizenship now? No, just Finnish. I’ve got no intention of applying for British citizenship. I got nothing against Brits but I am happy as a Finn. In Europe today, it poses no problem whatsoever.